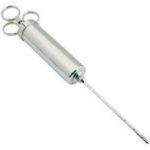 Cajun Injector “Creole Garlic Recipe” Marinade w/out Injector – Traditional basting takes hours, but with the Original Cajun Injector, meat is marinated to perfection from the inside out in just a few minutes. Chef Williams’ inject-able marinades are blended from the finest ingredients and are the only marinades made especially for injecting. Quick & Easy Marinades for Beef, Pork, Poultry & Wild Game. For Juicy, Tender Meat. Inject with the Original Cajun Injector <– Sold here. 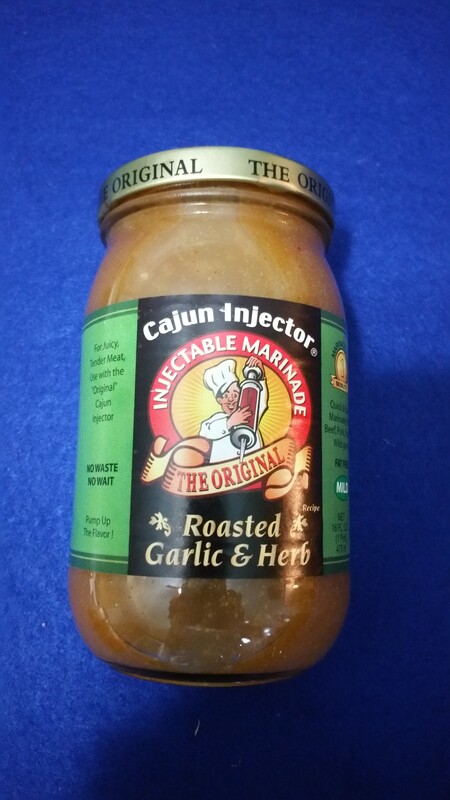 Be the first to review “Cajun Injector “Roasted Garlic & Herb” Marinade w/out Injector” Click here to cancel reply.